Home » DC12-14 , District of Columbia , Foreign Service Life , On the road » Sold the Car! One of the most annoying things about the northern Virgina / DC area is the traffic. I knew this before we came up here, which is why we found a place within walking distance to the Metro for my daily commute. But we moved up here with two cars, knowing from Day 1 that at least one of them wasn't going to go with us overseas. 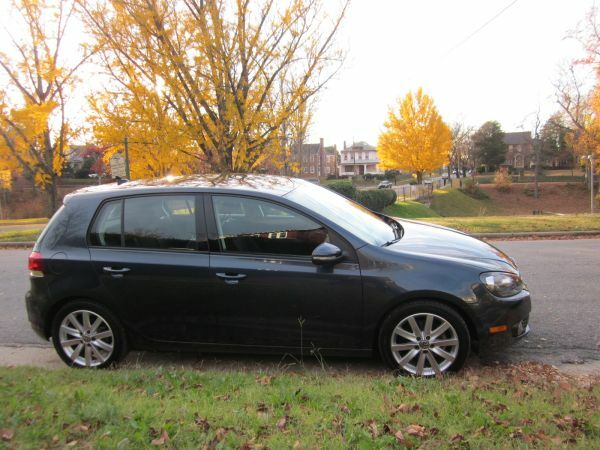 So which would it be: Kacey's station wagon that is currently configured to seat two adults, two kids, the dog and a roof rack...or my 2010 VW Golf TDI that we got in Germany after my VW died on the Autobahn so that I could commute to work and now sits in the guest parking space down the road? The question kind of answers itself, doesn't it? So we put up a listing on Craigslist & Cars.com and had two interested calls before the weekend. I scheduled them both for Saturday morning, but one of them cancelled the night before the test drive. Fortunately, the guy who showed up Saturday morning was interested and by Monday night we'd established the price and plan to exchange money, keys, and title. So I picked him up at the Metro and since we both are members of the same bank, we called them on the bluetooth speaker phone inside the car. I think it took longer to confirm our identities than it did to transfer the funds and see them appear in my account on my smart phone. Seriously, it was that fast. Almost surreal how easy it was, not to mention leaving my (now his) car in the parking lot with the keys in it and walking home.